Cut crusts off bread and cut into triangles. Combine eggs, sugar, milk, cream, cinnamon and nutmeg to create a custard mix. Melt butter and skim froth off the top. Ladle clarified butter into a clean pan. Soak raisin in whiskey bourbon. Dip corners of bread in clarified butter and layer them in to the baking dish. Sprinkle some of the raisins on each layer of the bread. Pour egg custard mixture over the bread and sprinkle brown sugar on top. Place in oven at 325 degrees and bake 30 minutes. Turn the pan and cook 20 minutes more until pudding is firm in the center. 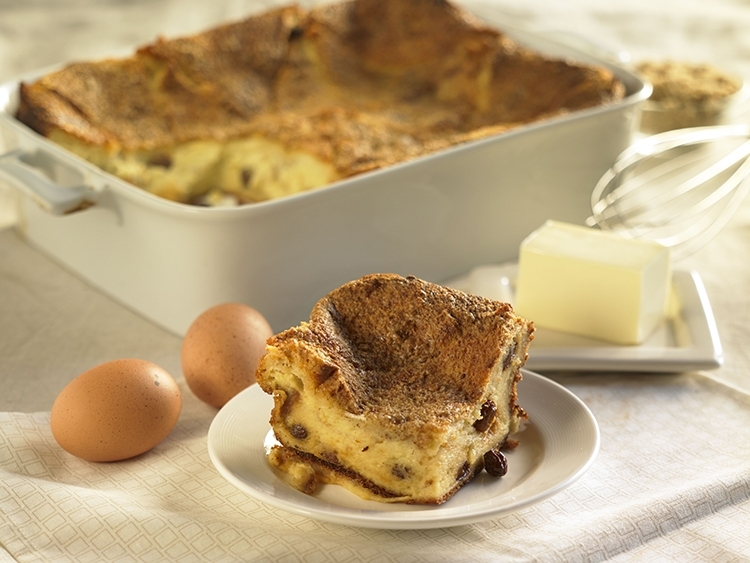 Download this Bread Pudding recipe. Do you have cream sauce recipe? that is what make your bread pudding so good!